Buy dinner and help Border Star PTA raise money for our school! Just go to Panera, show them the flyer available via download below, and Border Star PTA gets 20% of your order. You can take that or show the digital version on your phone. Feel free to spread flyers and the word to friends, family, neighbors, etc.! NOW: You can also order online for pick up or delivery. 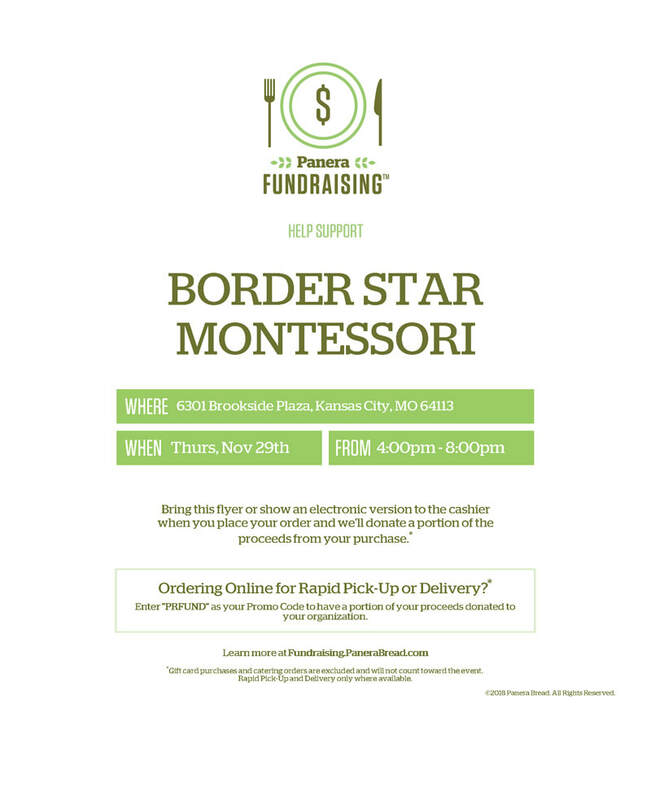 Just enter "PRFUND" as your Promo Code to have a portion of your proceeds donated to Border Star Montessori PTA. ​Panera Fundraiser Night 4-8 p.m.